The Awakening Of Intelligence is huge collection of transcribed talks Jiddu Krishnamurti had with personalities such as Jacob Needleman, Alain Naude, Swami Venkatesananda, David Bohm as well as public talks conducted in New York, Madras and Saanen in Switzerland. 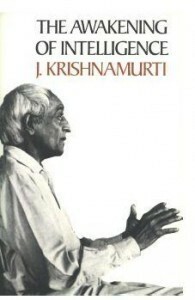 Collection of transcribed talks Jiddu Krishnamurti had with personalities such as Jacob Needleman, Alain Naude, Swami Venkatesananda adn David Bohm. Lucio F. Teoxon Jr., Ph.D. This is the one book by J. Krishnamurti that enlarged my view of life and made me go beyond purely academic matters. Midway in my career as an academician handling literature and humanities,this book made me realize the vast expanse of spiritual wisdom that I’ve neglected to explore. This is a truly life-changing book, thanks to the administrators of Holybooks for uploading this and other books by Krishnaji. would love to have any of his books but can’t fine one. Thanks for offering J krishnamuti’s books. I have grown reading and assimilating K’s teachings, and have been deeply influenced by it. To understand K, one needs an open mind and curiosity. I have been reading J.K’s books for more than two decades and halve found an approach to spiritual philosophy which in its approach stands apart from the rest by its unique approach.